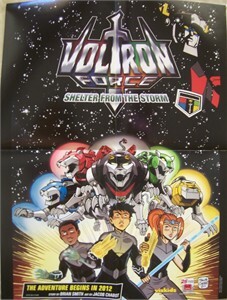 16x21 inch PRE-FOLDED poster of Voltron Force distributed at 2011 Comic-Con in San Diego. MINT. ONLY ONE LEFT.